One sunny Sunday we decided to play tourist in the city. Yuyuan Garden is a famous classical garden located in Anren Jie, Shanghai. The garden was finished in 1577 by a government officer of the Ming Dynasty (1368-1644) named Pan Yunduan. Yu in Chinese means pleasing and satisfying, and this garden was specially built for Pan’s parents as a place for them to enjoy a tranquil and happy time in their old age. In the 400 years of its existence, Yuyuan Garden had undergone many changes. During the late Ming Dynasty, it became very dilapidated with the decline of Pan’s family. In 1760, some rich merchants bought Yuyuan Garden and spent more than 20 years reconstructing the buildings. During the Opium War of the 19th century, Yuyuan Garden was severely damaged. The Yuyuan Garden we see today is the result of a five year restoration project which began in 1956. The garden was open to the public in September, 1961. As predicted, the Garden and its surroundings were jam-packed with tourists and locals, we were strolling around the Garden on our own, with me holding back the family quite often while I’m taking shots of the unique architectures within the compound, my favourite part is the rooftop details, they are so beautiful! If you don’t mind the tourists elbowing you, the market outside the Garden is a real charmer, plenty of souvenirs to get and lots of yummy places to eat. Love the pictures Esti, I’ll try to make it out there next year so we can go on a photo journey! 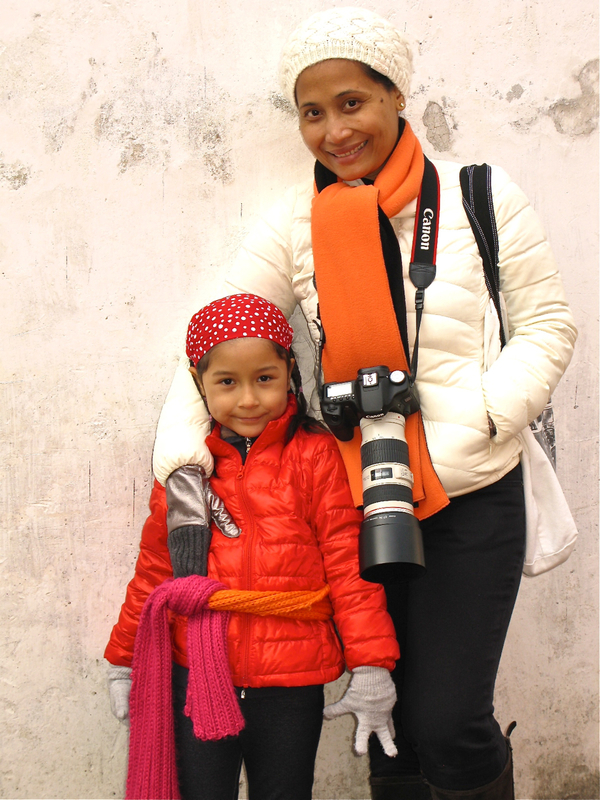 Thank you Jen, can’t wait to go for photo walk in Shanghai with you, SOON! Great Photos! Love the juxtoposition of ancient and modern. Good eye!